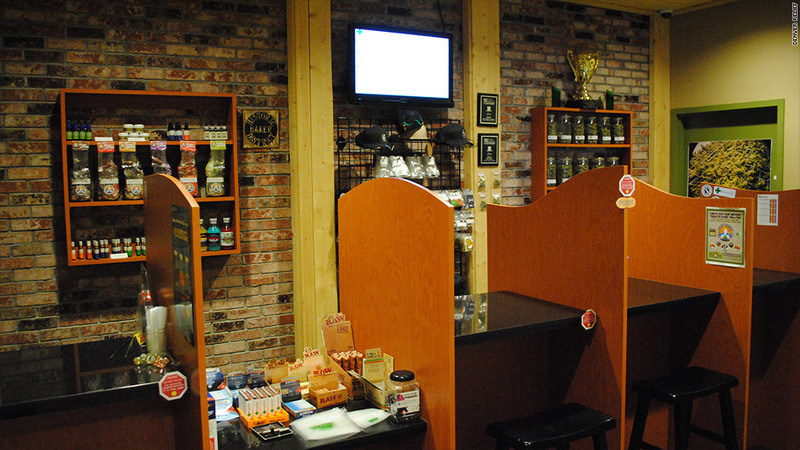 Denver Relief, one of the largest marijuana dispensaries in Colorado, has an effective tax rate of around 50%, according to co-owner Kayvan Khalatbari. Thanks to a decades-old law targeting drug runners, entrepreneurs in the nascent medical marijuana industry face a unique burden: an effective federal income tax rate that can soar as high as 75%. The hefty levy is the result of a 1982 provision to the tax code, known as 280E, that stemmed from a successful attempt by a convicted drug trafficker to claim his yacht, weapons and bribes as businesses expenses, according to 280E Reform, a group working to overturn the statute. Enacted in the wake of that PR debacle, the rule bars those selling illegal substances from deducting related expenses on their federal income taxes. It may have been effective against cocaine dealers and smugglers of other hard drugs, but the law now means purveyors of medical marijuana in the 18 states that have legalized the drug can't can't take typical things like rent or payroll as a business expense. That's taking a heavy toll on this new field. "I'd personally love to give my employees a raise," said Kayvan Khalatbari, co-owner of Denver Relief, a medical marijuana center in its namesake city. "But because of the industry we're in, that's not always possible." Khalatbari said Denver Relief does just over $1 million a year in sales, and that not being able to take some standard business deductions costs him tens of thousands of dollars annually. He estimates his effective federal tax rate is about 50%. For Denver Relief -- one of the largest marijuana dispensaries in Colorado, with a full-time staff of 15 -- the burden isn't killing the business. But for others, it's been lethal. Jim Marty, an accountant in Colorado specializing in medicinal marijuana tax law, said he has one client that didn't turn a profit in 2009, 2010 or 2011. In 2012, though, she was handed a $300,000 tax bill from the IRS for those three proceeding years. Entrepreneurs whose businesses are legal under state laws are getting hammered by outdated federal tax rules. "If you have a license from the state hanging on your wall, that doesn't fit the definition of trafficking," Marty said. "Yet the IRS is aggressively auditing this industry." He said he often sees clients facing effective tax bills of 65% to 75%. That compares to 15% to 30% for businesses in general. The Internal Revenue Service did not respond to a request for comment. In a letter to a congressman in 2011, the agency said it was merely enforcing the law, and that Congress needs to change the law if it does not want medicinal marijuana dealers caught up in the provision. Several groups are working on just that, though it's unclear if the law will be changed anytime soon. The Obama administration has so far not expressed much interest in weighing in on the matter. Until then, those in the industry will keep looking for crafty ways to minimize their tax bill, and pay the tax man when they can't. "An emerging industry that can provide hundreds of thousands of jobs is being held back by these crazy tax rates," said Betty Aldworth, deputy director of the National Cannabis Industry Association. "We're like any other small businesses, that just happens to be illegal in some states."